The Future of African Music- Jerrilyn Mulbah. Jerrilyn Mulbah, a product of the reality show, West African Idols 2007. Jerrilyn is out to show the world that sometimes with a possible attitude,belief and hardwork. The winner of the competition isn’t usually the holder of the trophy. She has since been garnering knowledge in the media in and out of the country. 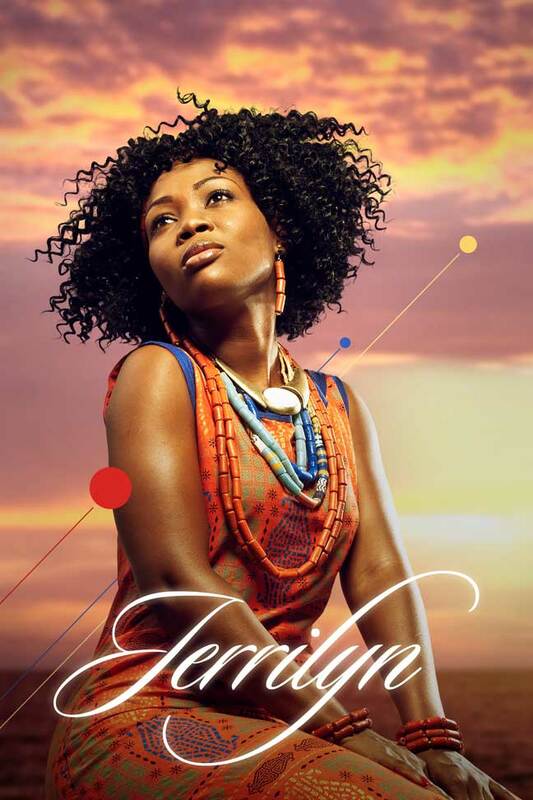 Jerrilyn has released songs, “Molejo“, “Mr Dj“, “Leka“, gaining massive airplay on radio stations, using Afro-fusion as a genre to take music to a greater height. Getting great reviews from critics in and out of the country. Being an inspiration to women of the next generation, Jerrilyn shows that with talent, belief, prayers and determination you can reach any height, from going through rough stints when she was a child in her home country, Liberia, to loosing her mother most especially, whom she adored and loved so much. Jerrilyn still pulled through all this with that one super power that she has-her inspiring voice. Jerrilyn sang for choirs, churches and even went on to represent her country in a tribute to AIDS patients worldwide, she makes the saying “never say never” a reality to those who have lost hope of ever being heard. the modern African woman,and also from her world of unimaginable artistic song-writing, the song basically tells you how the African women like to be loved, shown affection, be cared for, she shows the world that the talent of voice is still existing in the African continent. The song, as it says would make you wanna rock your body!!. Jerrilyn has being described as “the next big thing” from so many journalists, media personnel and her ever growing fans across the nation. She is signed to Miss Dynamite Entertainment. Jerrilyn is a source of inspiration to everyone,blessing the world with her voice and giving us what we have always wanted-good music,as she always say,”I want people to see me and believe that there is always hope whenever they feel there isn’t, and know that music is a source of life”.